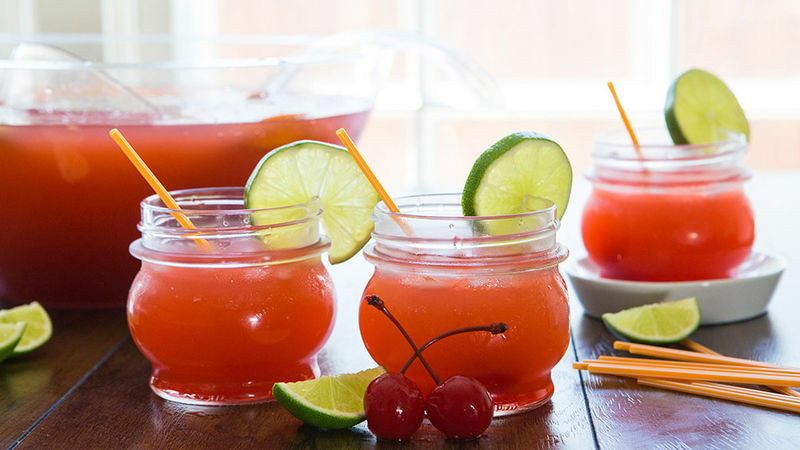 Place ice in a large punch bowl. Add rum, pineapple juice, blood orange soda and grenadine. Stir to mix. Top with orange slices, lime slices, and maraschino cherries. Enjoy! Traditional rum or coconut rum also tastes delicious in this recipe!